You hear rustling or scurrying in your attic or walls. Squirrels are extremely active during daylight hours but most clients report the highest activity early in the morning or just before dark. Squirrel droppings or urine stains on the ceiling. Even if you don’t actually see the droppings themselves you may notice a foul odor coming from your attic. Holes in siding that have been chewed larger. 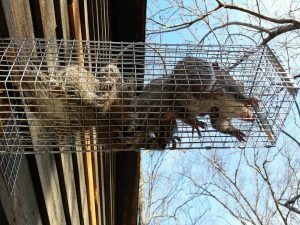 Squirrel infestations are a common problem for residents of Tennessee. With the late winter being the breading season for most squirrels we still commonly find young litters in attics throughout the year. It’s not uncommon to find males or females nesting in your attic at any time of year but our call volume for squirrels does spike as temperatures begin to fall. Your attic provides them with warmth and safety to start their families and hide their food. Their cute faces and bushy tails are nice to enjoy from a distance but what should you do if you suspect these adorable critters have made your home into their home? 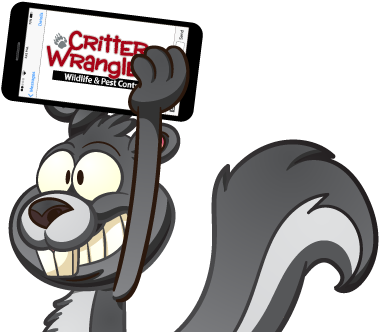 Call us at Critter Wranglers! In most cases we can give you an estimate right over the phone. We make Squirrel removal easy and affordable. 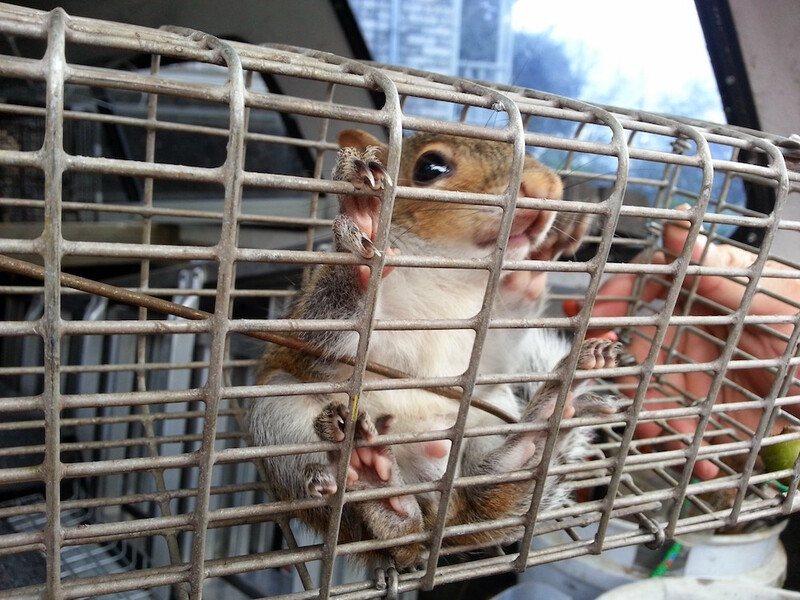 With the use of cage traps we will safely and legally remove these pests from your home and dispose of the animals in accordance to your preference as long as it abides with state/federal law. Once the unwanted pest has been removed, it’s essential that you allow us to animal proof the entry and exit points to ensure more animals do not return. We also clean up the mess the pest has left behind so that other wildlife is not attracted to the area by the familiar odors. We use quality materials and our unique animal proofing techniques to effectively seal out future problems. Whether it’s a one time removal of a pesky rodent or you’re in need of a monthly pest control service, we’ve got you covered. With over 35 years experience there isn’t a wildlife, rodent, or pest problem we can’t handle. We serve private residents, commercial spaces, and municipal accounts.